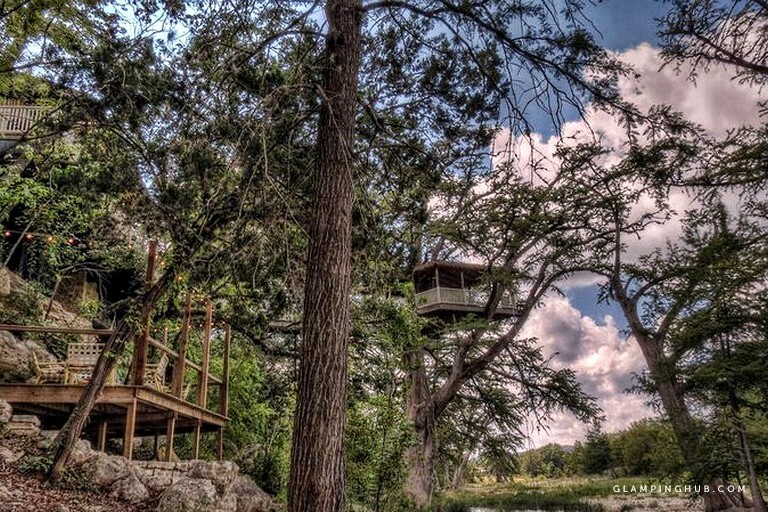 This glamping site has a stunning tree house rental that sleeps 14 guests, as well as a tree house cottage that can sleep two guests, making the total maximum capacity of this rental 16 guests. These two accommodations are exclusively rented together. 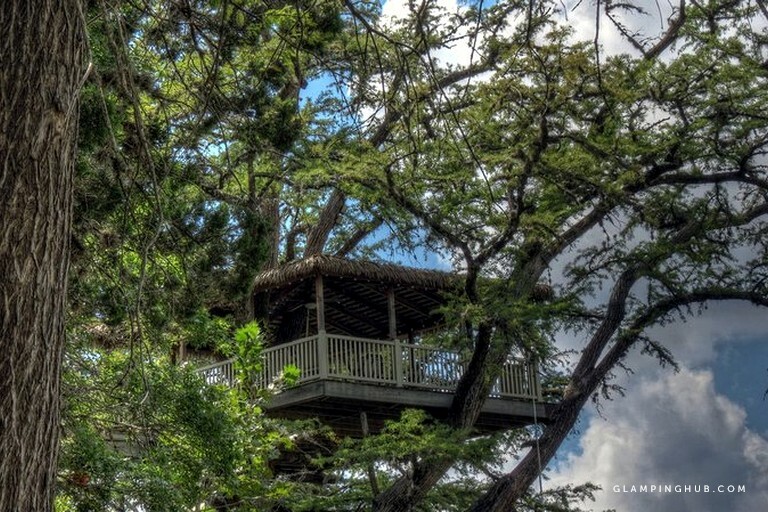 Treetop Cottage: This unit is 595 square feet and sleeps up to four people. There is a curtain that separates the sleeping and living area. There is one king sized-bed and a large living room with a queen size sofa bed. There is one full bath that has a small jetted Jacuzzi tub as well as a shower, marble countertops, a skylight and a stained glass window. 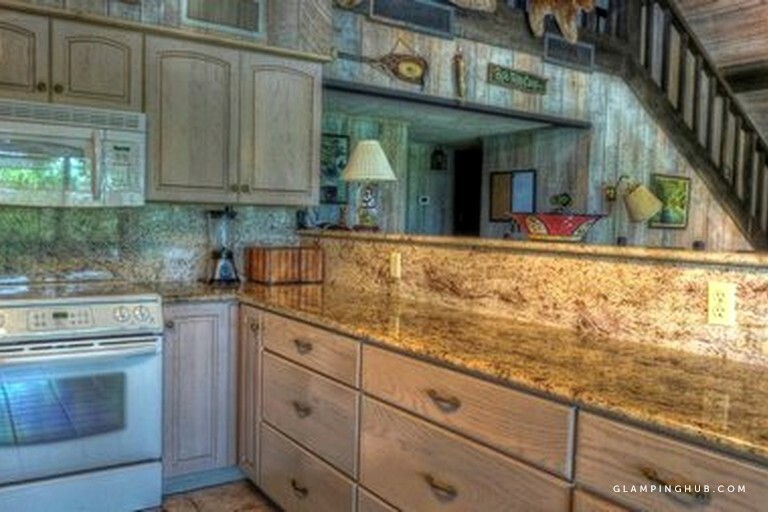 The marble wet bar includes a microwave and under-counter refrigerator. There are giant doors, wood trim and three ornate carved arches that came from the American Embassy in France. 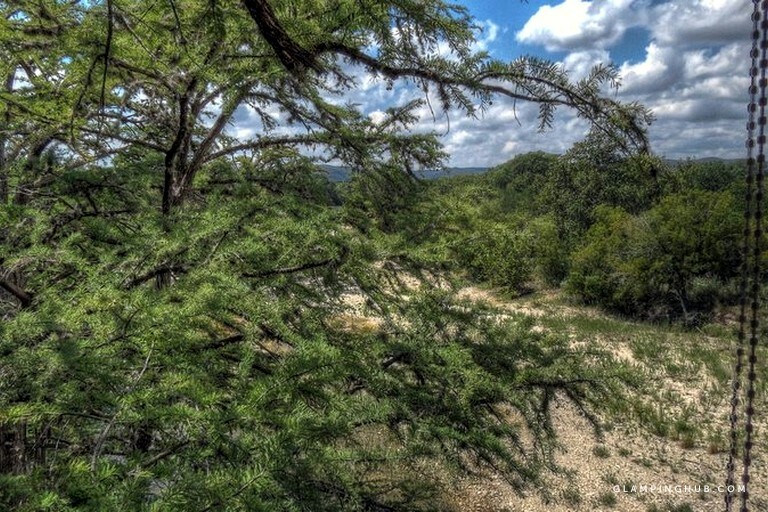 You will also have central heating and air conditioning, satellite TV/DVD, a private deck, a sauna, a shower, two tables, and six chairs for overlooking the Frio River. 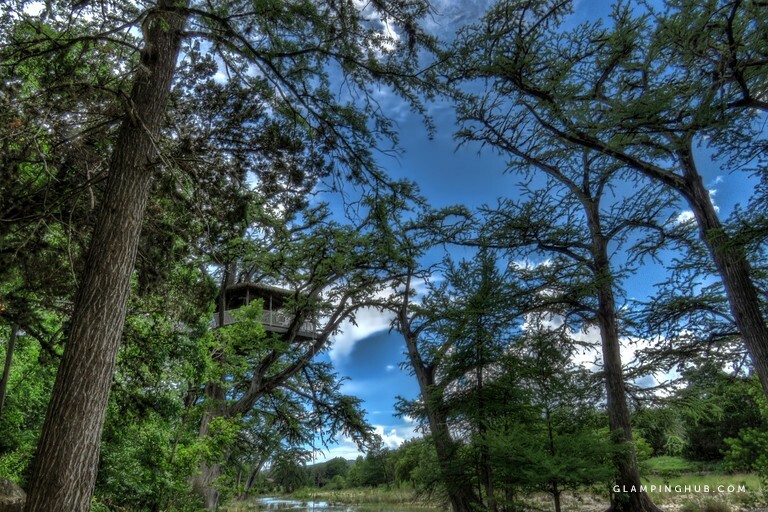 Treetop Lodge: This unit is 1,966 square feet and sleeps up to 14 people. There are three bedrooms and a large sleeping loft with a total of one king, two queens, four doubles and two queen sofa beds. The master bedroom has one king-sized bed, and the second room has one antique double-sized bed, and the third room has one queen-sized bed and one double-sized bed. The loft has one queen-sized bed and two double beds. There are two full baths with marble tiled walk-in showers. The kitchen includes a dishwasher, microwave, toaster oven, and city water plus softener. There is an outside laundry room that has a washer and dryer and a second full-sized refrigerator with a freezer. The great room includes a kitchen with granite countertops, a living and a dining area. 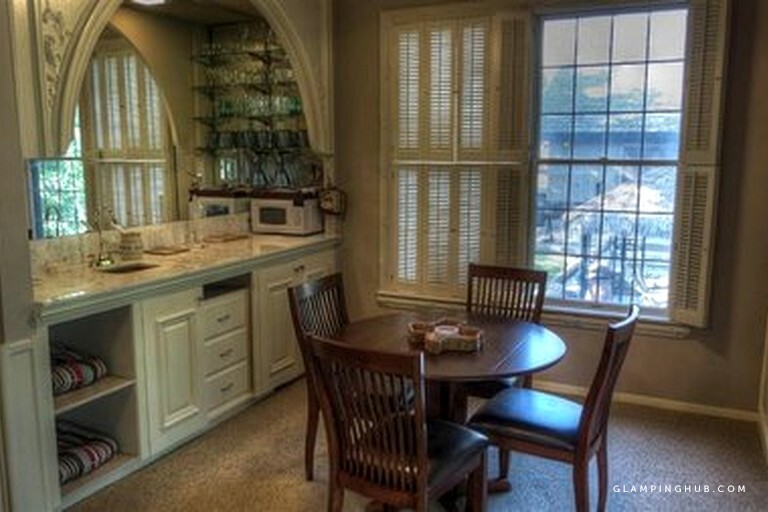 The dining table can seat 10 people, plus there are three bar stools, a 6-foot folding table and chairs in the closet. The loft has a game table and four chairs, and the bumper pool converts to a tabletop for eating. The game board can be used to play bumper pool, shuffle board and various other games. 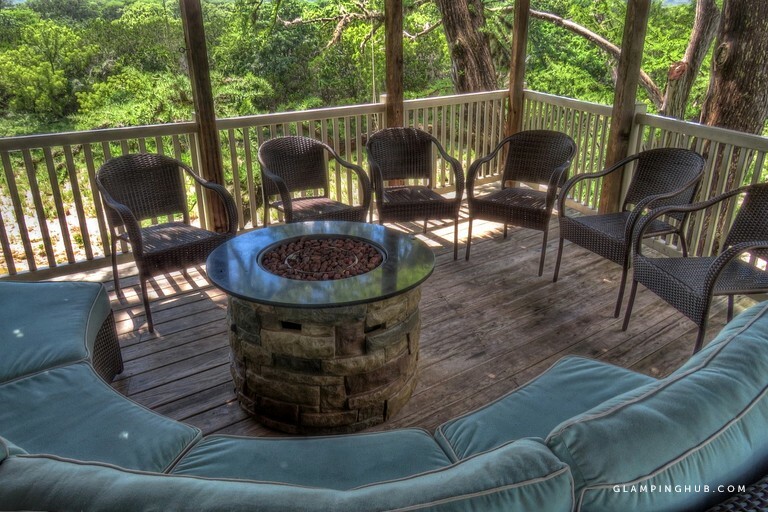 There is internet service and Wi-Fi, a 52” satellite TV/DVD, a phone, a rock (gas) fireplace and central heating and air conditioning. 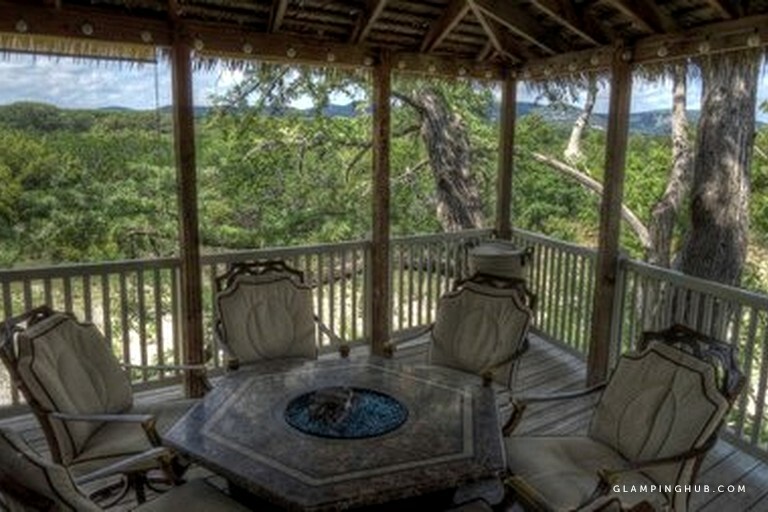 There is a full-length thatched roof deck overlooking Frio River, and there is a table with chairs. 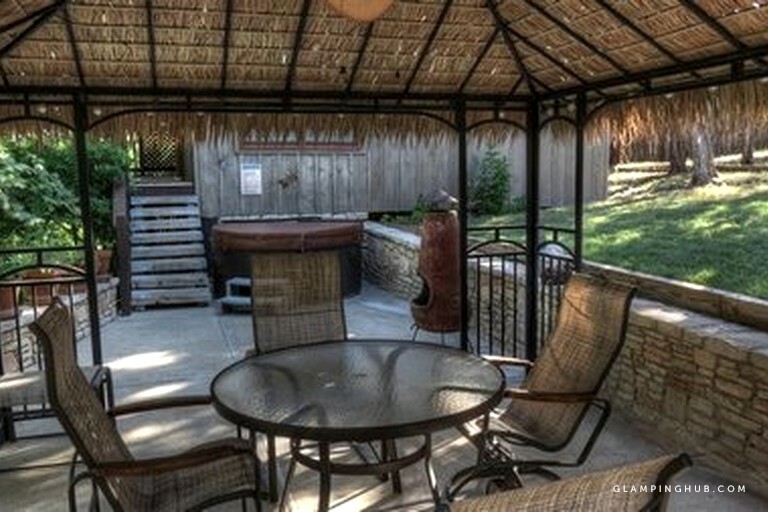 There is also a large stainless gas grill, plus a large charcoal or wood grill and a wooden drink cooler. 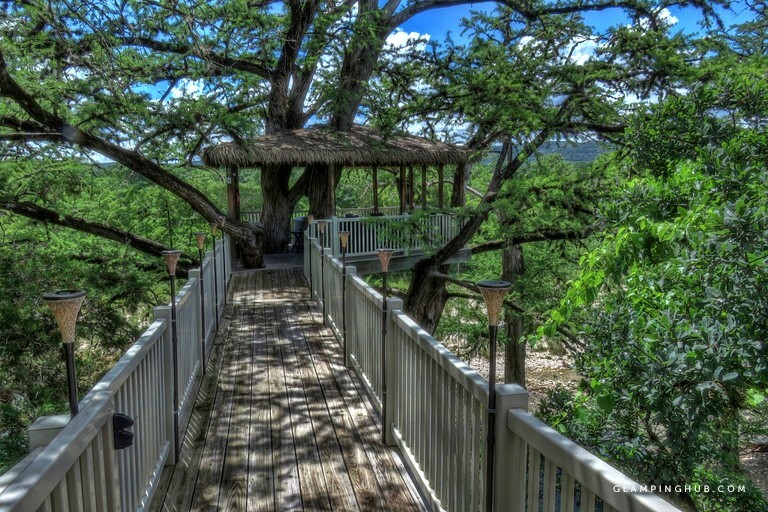 There is an additional patio with a hot tub, and a table and chairs located just between this treetop lodge and the charming treetop cottage. Guests here will have heating, air conditioning and ceiling fans. Guests will enjoy fully-equipped kitchens including, silverware, cooking utensils, plates, bowls, glasses, pots and pans. Guests will have a microwaves, coffee makers or coffee percolators. There are kitchen towels, pot holders, sheets, blankets, and pillows furnished for all beds and sofa beds. 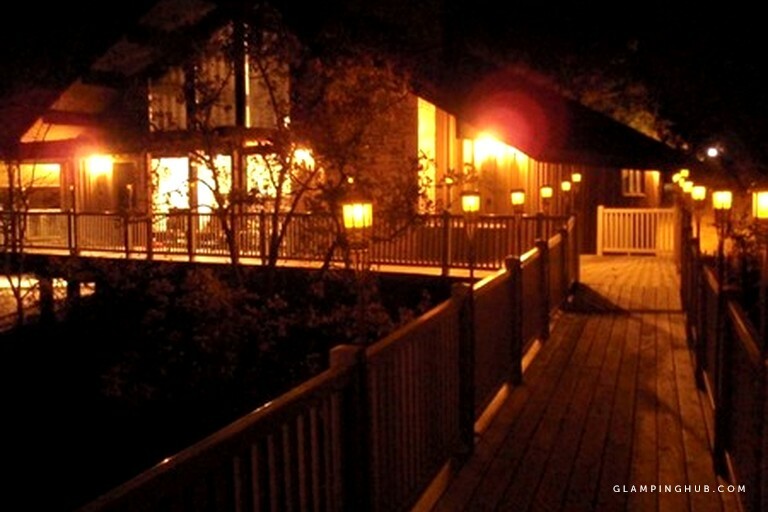 Outside, guests will have picnic tables, patio chairs, BBQ grills and utensils. Guests will also find hummingbird feeders (only use white sugar & water, no red dye) and bird feeders (only bring black oiled sunflower seeds). - Towels, bath towels, wash rags and hand towels. - Toilet paper, trash bags (13 and 39 gallons are recommended). - Groceries, supplies (i.e. salt, pepper, sugar, spices, paper towels, coffee (and filters), hand soap, dish soap and dishwasher liquid. - Toiletries including, shampoo, bath soap and laundry soap. - Matches for the charcoal grill. 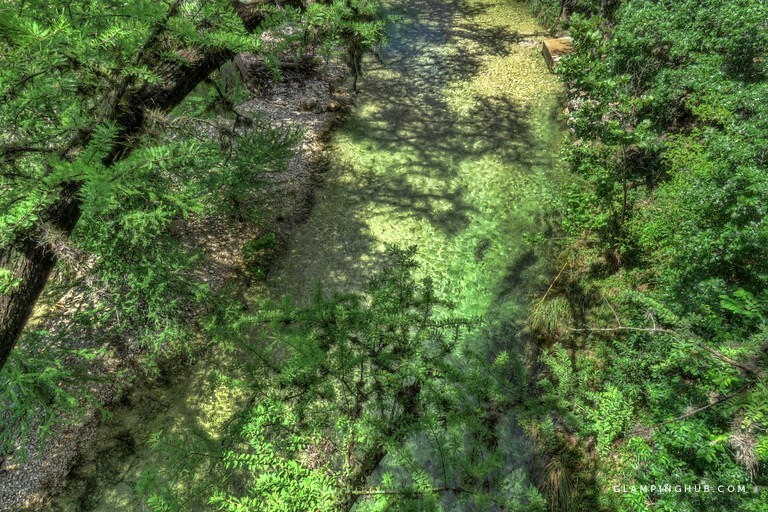 - Camera, a flashlight, batteries, binoculars, bug spray and sun block. 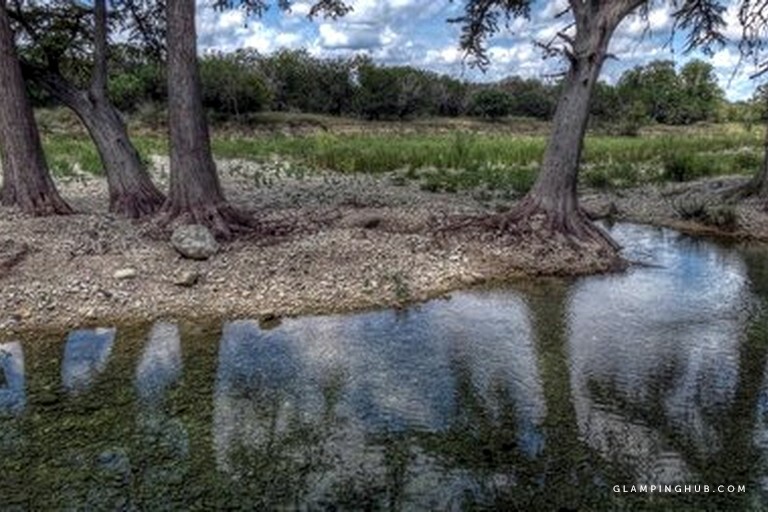 - River chairs, river shoes or old tennis shoes. 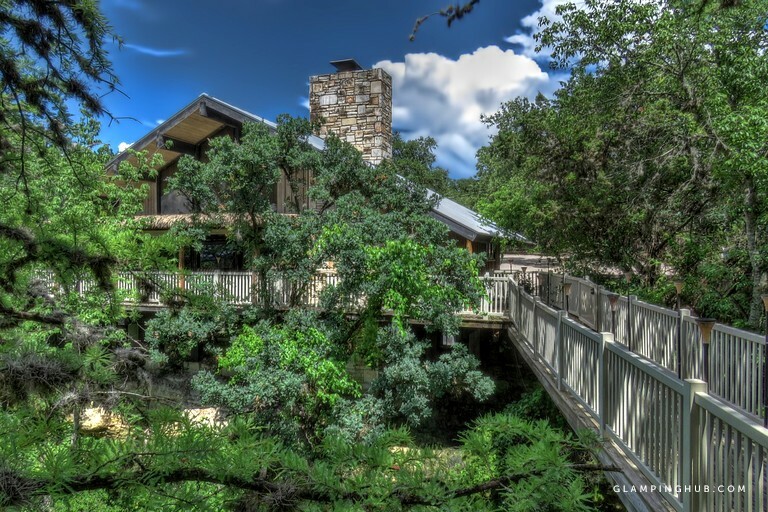 This very unique property on the Frio River was a private vacation home before 2010. 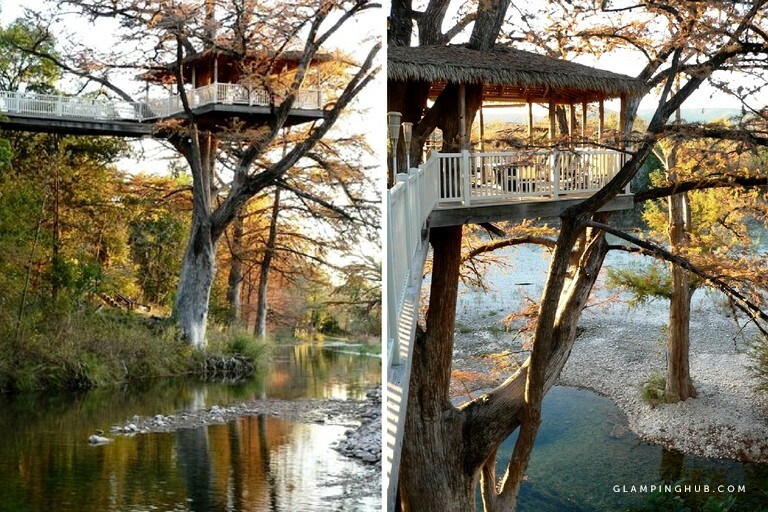 Now guests can stay here with family and friends while enjoying inspiring sunsets from the treetop deck, perched in a giant cypress tree overlooking the Frio River. 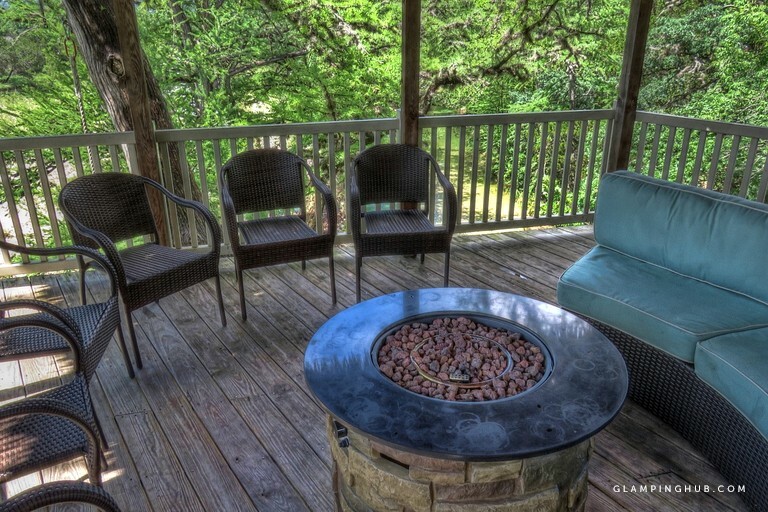 There are multiple entertaining patios and decks, as well as rock steps leading down to a patio with steps into the river. 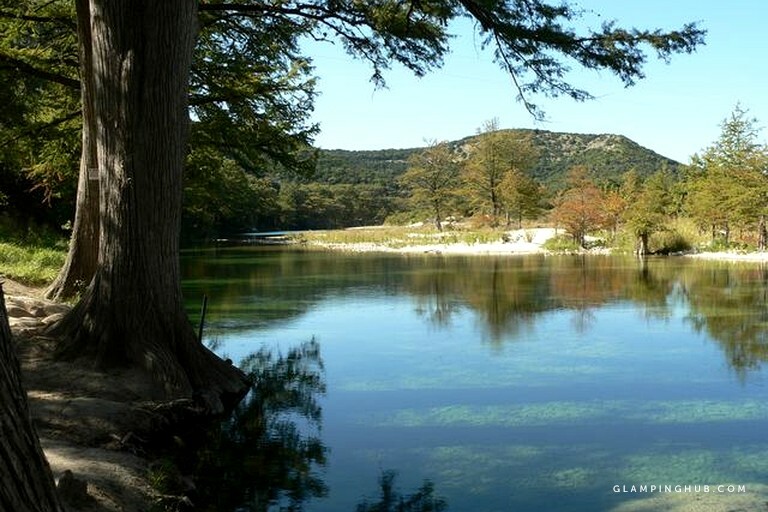 Choose from area hiking, mountain biking, birding, scenic hills great for motorcycle and bicycle cruising, horseback riding, music venues and festivals, tubing, kayaking, and fishing and swimming in the clear Frio River. 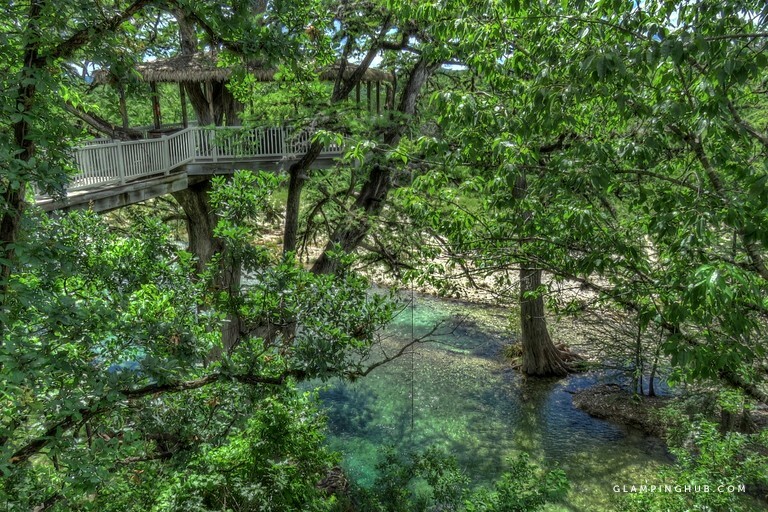 Plus, don't forget the fall foliage at Lost Maples State Natural Area and the scenic drives nearby. There is a minimum two-night stay from September through May, and a three-night minimum stay for national holidays, Spring Break and Labor Day Weekend. 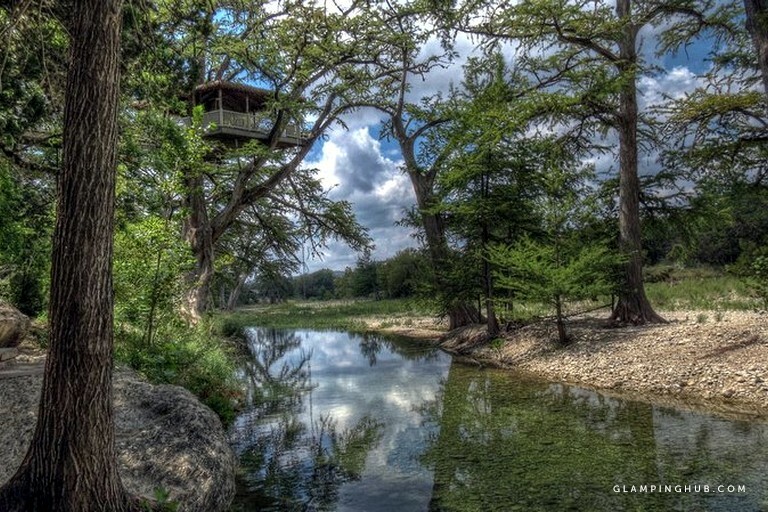 There is a four-night minimum stay during summer from Memorial Day Weekend through mid-August, unless there are only two or three nights open between other reservations.